I’ve had the tool section running for a little while now, and it has been good to (slowly) move on some items. I’m going to keep the section running, as there are always a few odds and ends (spare components primarily) that can find another home. I am looking to really ramp up the production quality of the videos again, and have new lights, new mics, and am now working on adding an extra camera as well. So I’ve turned (once again) to eBay to move a couple of things to assist. The other item currently listed (which has nothing to do with woodworking, but at least the revenue raised will! ), is the last of my dive gear, which I used to do a lot of deep diving with. Currently at $270, with 2 days to run. Sad to see it go, but I’m not using it, and one past hobby can help fund a current one. November 3 2013. While moving to the new house, a lot of the timber and tools were stacked in the original 3x3m shed on the property. On that day, the shed was emptied and stored under the veranda, filling the entire area (covering all the outdoors furniture), and looked a mess, not to put too fine a point on it. That shed was then taken apart and stored. It has been almost exactly 5 months (minus a few days), and the cleanup of that area is finally complete. Everything has been taken to their new homes (garden shed, main workshop, garage, and storage shed). Not particularly neatly – that refinement will happen over a longer period as I work out various storage options. At least progress each weekend is restoring a sense of normalcy to the place. There is a small mountain of stuff now stored up on the mezzanine – crates and crates of tools and timber requiring sorting, storing, and disposing. I really need some storage solutions for the shed – that is the next big ticket item requiring tick-off. Whether that will be purchased, made, or a combination of the two is yet to be seen. Fast will be the first order of the day. (The other big-ticket item needing resolution is installing a dust collection system). As far as disposing is concerned – sure, that means there is some things not worth keeping that will be binned, but the majority of items in that category are ones needing to find a new home. One thing I found I have a lot of, are Triton spares. Bags and bags of components, from individual screws and red knobs with captive nuts, up to and including a Triton Router Table, Router Table Stand, a Bevel Ripping Guide, Biscuit Joiner, Finger Jointer and all sorts of other odds’n’sods. So what I am thinking of doing is cataloguing it all, and sticking it on a tab at the top of the site, with a line number, photo and description. Some items with a price tag, the others priced (cheaply) by weight. I’ll work out something that gives a reasonable price scale. I’ve become quite disillusioned with eBay. Not because the items sell for a reasonable price, or the eBay fee structure, but simply because there are so many dickheads out there. I don’t need the stress or hassle. Some hassle is unavoidable – if I wanted to avoid it all, I’d simply throw all the metal into the trailer (along with the pile that is there at the moment) and run it to the local steel merchant. Let me know if there is anything you are particularly looking out for – will see what I can turn up. A good portion of it is new, and should be much cheaper than any Triton spares in the market. A friend of mine decided to discontinue with his woodworking pursuit, and sold off much of his gear. He is now going through his remaining collection and is offering it up to readers here before listing them on eBay. They are mostly books that are left, with a couple of DVDs and some remaining tools. If you are interested, you can email him directly here. The books are pretty much all purchased from Carbatec, and read once. Originally priced between about $30 – $60, he will take $15 plus postage. All in “Very Good” condition. Mark Duginske Bandsaw Handbook – 1989? This isn’t the big tool sale I hinted out a month or so ago (which is still on its way). I need the new shed to be commissioned so I can sort through the machines and tools that will be going in there, and leave (and sell) those that are not. In the meantime, I am still applying the same principle to other items around the house. Last week I got rid of a 1000l water tank, and a small shed/bird aviary/cat run. 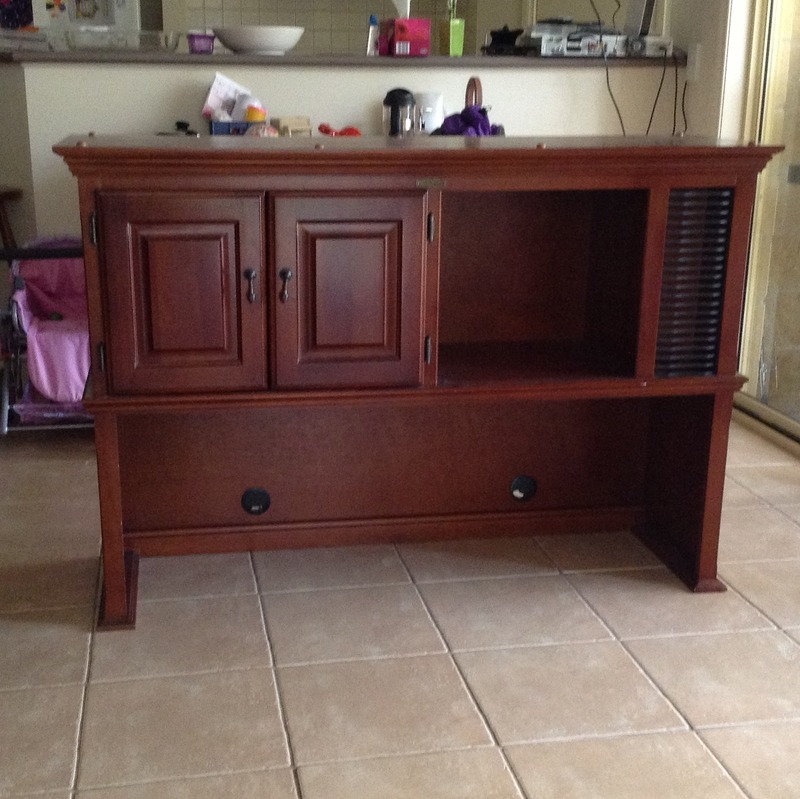 This week there will be some more items up, including this desk hutch. More details via the eBay site. Auctions start at 0.99c (this one still is at the starting price). Obviously I’d rather not sell it for 99c, but it will go for what the market decides it is worth! I apply that same principle to anything else I sell on eBay as well. No matter what happens in the workshop, nor what tools I have added over the years, I was out this afternoon doing a job, and realised the only tools I was using were Triton. One being the Multistand, which gets used all the time – infeed, outfeed, work support etc. The other, a tool I was really confused about when it first came out, and at the time it concerned me about the direction Triton were heading. 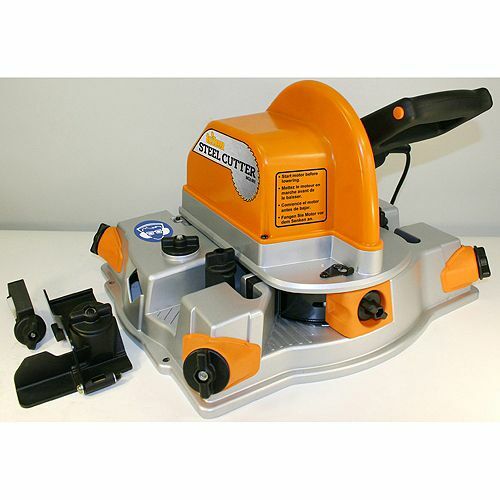 But nevertheless, the Triton Steel Cutter is one of those tools that you are always really pleased having for each and every job you use it on. Today I started working on a cat run/shade area for the side of the house (might even look at what it’d take to produce a bit of a fernery , but conditions are probably not good enough), and using powder-coated fence steel to do it. Having a dedicated steel cutter is making it really easy. It may look like a dropsaw, but it isn’t a matter of putting a steel cutting blade on a standard dropsaw. The steel cutter is geared down to ensure the blade is running at the right speed. I made a video about it aways back – Episode 43. Pretty sure these are not available anywhere retail, but you can still get them occasionally on eBay. Sometimes new. (There are 2 new ones on eBay at the moment for about $150. They were originally about $400). That’s if you are interested in one of course! In the new workshop, I am actually hoping to have a corner where I can finally have it set up, rather than having to drag it out each time I want to use it. Along with a few other metal working tools (not that I have an abundance of those). Good for jig-making for one! We shall see. More precisely, a whirlwind, a tornado, or perhaps that has already arrived looking at the workshop! One of the opportunities that comes out of such a relocation, is things get reevaluated, cleaned up, and out. Yes. A sale is coming. Not sure exactly what as yet, but there will be some recognisable names and brands amongst the items I have in mind. It will be interesting to see what comes of it all. 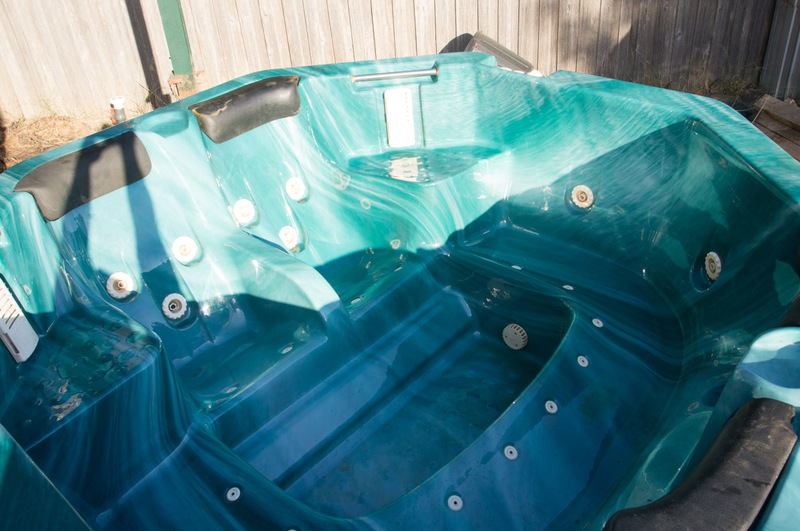 So if you are interested in a spa pool, and are somewhere in the vicinity of SE Melbourne, this one is available. Auction starting at 99c – more details over on eBay. There is also a 14′ above-ground swimming pool, but you’d better be quick – there is only 10 minutes left!